Abstract - Nowadays, with technological advances in the science of robotics, We've seen building the robots to work autonomously in other planets, under seas and oceans and each unknown environments. Considering that the robots do not have any information about the environment, should have the ability to build environment map on the move and also estimate its location on that map correctly. This action is called Simultaneous Localization and Mapping (SLAM). Mapping is to obtain a model of the robot environment, and localization is to estimate the position of robot in obtained map. For building map, we need to acknowledge about location of robot and for localization we need to map (chicken and egg problem), so the SLAM is a hard and famous problem in robotic word. In this study, we will explain related issues and parameters that are necessary for investigate and work on the SLAM problem. Abstract - Location information of sensor node is necessary in wireless sensor network since data transmission between nodes may be senseless without knowing the accurate locations of the nodes in network keeping in the view of various applications of WSN such as military surveillance, localization, tracking, battlefield monitoring, structural health monitoring, routing etc. In this paper, we propose to investigate the physical field model for location estimation, i.e., localization, in the form of partial differential equation (PDE). Within the proposed framework, the estimation algorithm of sensor node localization problem using finite element method (FEM) has been employed to obtain the solution based on physical phenomena (e.g., temperature) governed by discretizing the 1-D heat equation. The computational results illustrates that the significant effect and better accuracy using elegant finite element approach by means of simulation results. Abstract - We propose a new reliable MANET routing protocol which uses a logical two dimensional grid. The proposed protocol is called Efficient Grid-based Routing Protocol (E-GRP). E-GRP is based on the GRID routing protocol . The main new features of E-GRP compared to GRID is the ability to work with different cell sizes by giving approximately same results in term of average end-to-end delay, number of overhead packets and delivery ratio in different cell side lengths. It does that by resolving path disconnected problem in grid-based routing protocols. E-GRP also has an efficient election approach comparing to GRID routing protocol. Simulation results show that E-GRP outperforms GRID in terms of average end-to-end delay and delivery ratio for different cell sizes. Abstract - The growing demand of wireless applications has put a lot of constraints on the usage of available radio spectrum which is limited and precious resource. If scanning of a radio spectrum including revenue rich urban areas, shows that some frequency bands in the spectrum are largely unoccupied most of the time, some other frequency bands are partially occupied and the remaining frequency bands are heavily used. This leads to an underutilization of radio spectrum. This underutilization of radio spectrum is minimized by the Cognitive Radio. Cognitive Radio is a promising technology which provides a novel way to improve utilization of available electromagnetic spectrum efficiently. Cognitive Radio refers to wireless architectures in which a communication system does not operate in a fixed band, but rather searches and finds an appropriate band in which to operate. Spectrum sensing helps to detect the spectrum holes (underutilized bands of the spectrum) providing high spectral resolution capability. In this paper, we investigated the idea of simulating a cognitive radio system to reuse locally unused spectrum to increase the total system capacity. 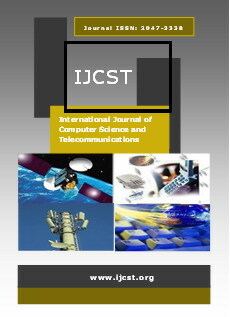 This work focuses on the practical implementation of a Cognitive radio system. To test the performance of Cognitive radio, simulation has been carried out using MATLAB R2011a. Abstract - In software testing it is adequate if testing methods are only evaluated on error identifying ability but they can also be compared upon to test which among them increases reliability. To ascertain a check for the constructive testing, we require calculating present narratives of testing methods not only for usefulness and effectiveness but also for their capability of increasing software testing reliability. Actually, software engineering is a main platform for many studies and can investigate a wide research in the selected subject and can be broadly implemented with various methods concerning a various responses all through the development cycle, which are proposed for many problems and aims at, as testing is a famous validation method in engineering and business. Abstract - This work evaluates and compares the performance of two reactive routing protocols for mobile ad-hoc networks: Ad hoc On-demand Distance Vector (AODV) and Dynamic Source Routing (DSR). The study focuses on the design and evaluation of routing protocols in mobile ad-hoc networks. Study and implementation of these protocols are been carried out using network simulator (ns2) and metrics such as Packet Delivery Fraction, Average end-to-end Delay, Routing overhead and Normalized Routing are used for performance analysis. Results are presented as a function of these metrics and the graphs generated show that DSR performs better than AODV when fewer nodes are been used. Abstract - Multicasting plays a particular part in various applications of mobile ad-hoc network (MANET). It extensively advances the effectiveness of this network, a capability of the channels and the consumption of energy in battery. The pervasive exercise of non static and little instruments that can be carried and becoming extremely famous in Mobile Ad-hoc Network do not require any permanent infrastructure assist for communication of data. The number of points in mobile ad-hoc network work as both end node and a router. This survey is an excellent survey of multicasting and we identify many issues related to multicasting. Multicasting is the capability to carry information to multiple users at the similar instance multicasting is the communication of information set of data to more than one number of points allotment of one multicasting address. The transmitters and recipients form the multicast group. In fact, there could be more than one transmitter in a multicast group, so it is group-oriented computation. As we know that multicast communication is very essential for several application of MANET. In this survey, we will offer classification techniques of Multicasting in MANET, followed by the explanation of the protocol. Abstract - In the Web environment web log file capture operational data generated through internet for analysing user's browsing behaviour and many other security issues. The captured operational data is useful for build use profile, web designing and acts as evidence in web forensic and many other security issues. In real world there are lots systems that participate in web environment having incomplete information because of that web log file affected through noise which lead many of inconvenience. Estimation and handling of these noises in web log is major issue in web forensic and other web related security issue. For evaluating that incomplete information null value estimation is very precious technique. This paper proposed a null value estimation technique based on fuzzy rule based k-means algorithm to deal with that noise. Proposed technique enhances the performance of k-means clustering algorithm by encapsulating advantage of fuzzy rule over that.